It makes you wonder what you would do in this situation. Three office workers on their way home from an office party are held in an ATM in the middle of a cold winters night by a man wielding a tire iron. Do you run? Hide? Fight? This is what director David Brooks (feature debut) asks in ATM. Like other films of the ilk (Frozen / Phone Booth) ATM asks the viewer to spend the runtime in the presence of a tormented protagonist, relying on the writing, acting of a very small cast, and some directing chops to pull of tension. Tension. Without it, this type of film fails completely. Brooks does do a good job on that front. The harshness of the weather is played well, the lack of visibility works - the villain without a face. The film constantly asks the motivation of the antagonist, which is sometimes exactly what is needed - what is more scary than chaos? Some of the plot-convenience writing is a little ham-fisted, but on the flip side, the dialogue and character motivations are pretty solid - so a reasonable job from writer Chris Sparling (Buried). With good direction and reasonable writing the film then falls to the shoulders of the cast. This is, after all, a horror film - one without much in the way of FX, there is no gore to speak of, and little to no action set pieces. The fear comes from selling the fear. The cast we have from the beginning is worker David, who is trying to impress potential love interest Emily, offering her a lift home, only to be put upon by jerk bff, Corey. David is played out as naive and shy - a good performance from Brian Geraghty (The Hurt Locker), Emily is more of a strong willed character, played by Alice Eve (Iron Fist) and jerk bff is played by Josh Peck (The Labyrinth). Peck stands out from the rest of the cast. He's instantly unlikable - think: total douche-canoe. And he's utterly perfect for it. With the three of them trapped for the night, the tension ramps with the unknown assailant outside. 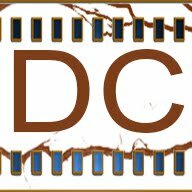 The film moves at a rapid pace, and is all the better for it. 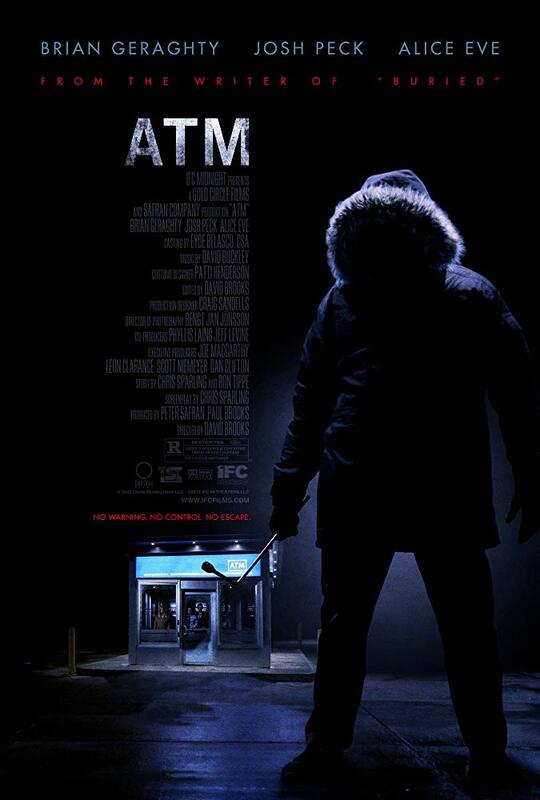 With a shocking third act twist, and a sting in the tail, ATM works pretty well. It's not a flawless film by any means, but a solid stalker / slasher effort from all involved. There has been some negative response to the ending of the film, and I have heartfelt disagreement. Reminiscent of the reviews of Don't Blink, people shouldn't rely so heavily on spoon feeding. The ending of this, and DB are great - the film better for it. A solid slasher for a cold Friday night.